Lomi Lomi (also known as “lomilomi”) is a type of massage practiced in Hawaii and based on ‘huna’ (a Hawaiian philosophy for harmony in mind, body, and spirit). 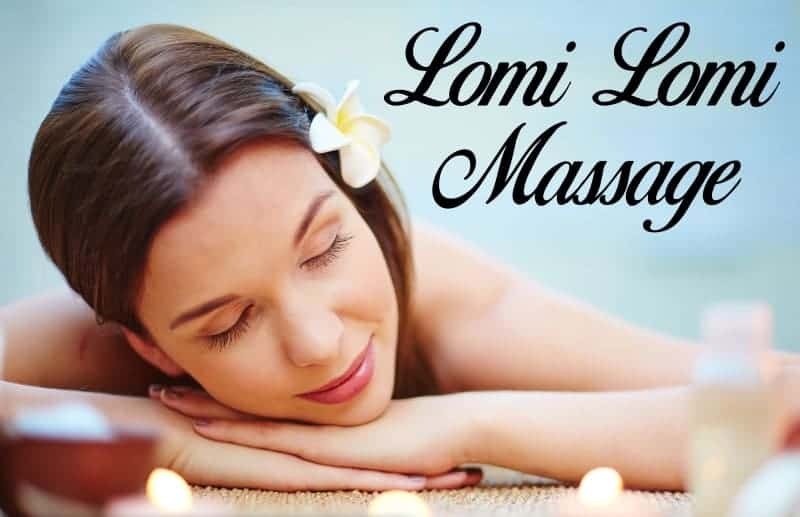 Lomi Lomi massage aims to promote relaxation of body and mind, improve circulation, eliminate muscle tightness and pain, and provide mental and emotional benefits, including the relief of fear, anxiety, depression, grief, and other negative emotions. In short, Lomi Lomi massage will have you feeling deeply relaxed and blissful. One of the goals of Lomi Lomi massage is to clear blockages in the natural flow of energy through the body thereby helping you function better and feel more alive. Energy blockages are thought to contribute to problems in physical, emotional, and mental health. Lomi Lomi massage is one of the most pleasurable ways to unblock energy so you can function better in life. What Is a Lomi Lomi Massage Like? A Lomi Lomi massage is a special experience that must be experienced to be understood. We tailor each treatment to your specific needs. Lomi Lomi typically involves rhythmic, flowing massage strokes to clear blockages in the circulation of energy through the body and release tension in the muscles, tendons and fascia. In Lomi Lomi the massage therapist uses hands, fingers and forearms to make long relaxing massage strokes. Other Lomi Lomi massage strokes may involve a circular or chopping motion, gentle pounding, percussive cupping, and/or fingertip tapping. To accommodate the long, continuous massage techniques that run the length of the body, Lomi Lomi massage usually involves less draping than other types of massage. There is often a small towel covering the glute area while you are lying on the table face down, and a small towel covering your pelvic region while you are lying face up. In traditional Lomi Lomi, no draping is used over the breasts for women. Feel free to inquire about the degree of draping during the massage and always remove clothing to your comfort level. • Improved circulation and immune response. • Increases range of motion and flexibility. • Lower blood pressure and slower heart rate. • Improves posture and speeds healing. Lomi Lomi massage is a truly transcendental experience that has to be experienced to understand how profoundly healing and blissful it can be. Our Lomi Lomi massage is recognozed as one of the best available on the sunny Gold Coast and is presently our most popular and most recommended form of massage. — Ivan Knez, Gold Coast.